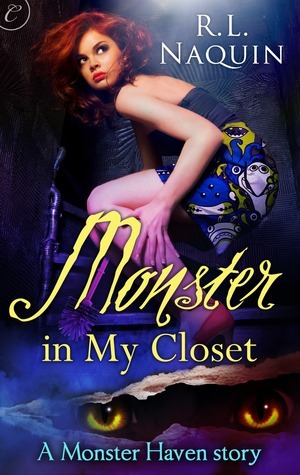 Monster in My Closet is the first book in the Monster Haven series, which centers around our eccentric main character Zoey. Zoey gets the fright of her life when the monster in the closet from her youth is sitting at her table. It quickly becomes more shocking when she finds out his name is Maurice, and that his wife has left him. 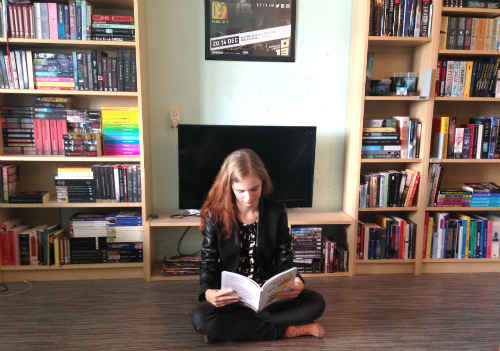 Zoey tumbles head-first into a world she never knew existed. She always helps people – but who is going to help her? The best thing about this book is that it’s such light-hearted fun. Depending on a chicklit-esque humour, our heroine stumbles through life as a wedding planner slash monster rescue-er. There are some truly laugh out loud funny moments in this book, and the supporting cast of characters is the best. Maurice the closet monster is one of my favourites. Monster in My Closet could have used some restructuring. The first third is too heavily centered around Zoey meeting all kinds of monsters. The second third kind of abandons the cute monster stuff, and focusses entirely on the main conflict. The problem with this is that the main conflict is mostly absent throughout the first part, and by the time it finally gets going we’ve passed the half-way mark. I didn’t fully get a read on Zoey as a character – we know she’s clumsy, loves quirky clothes, and is extremely helpful. I’m hoping we can get to know her better in the next book in the series, and maybe see a bit more of her best friend Sara. There is plenty of room for character growth in Zoey – something that is lightly touched upon in this book – that I’m hoping will continue in the next. Don’t be put off from this book by the awkward cover. Monster in My Closet will appeal to fans of Dead Witch Walking by Kim Harrison and Hounded by Kevin Hearne. I stopped believing in monsters long ago. But I knew I wasn’t imagining things when I found one in my kitchen baking muffins. I’d seen him before: lurking in my closet, scaring the crap out of my five-year-old self. Turns out that was a misunderstanding, and now Maurice needs a place to stay. How could I say no?